6.25" overall. 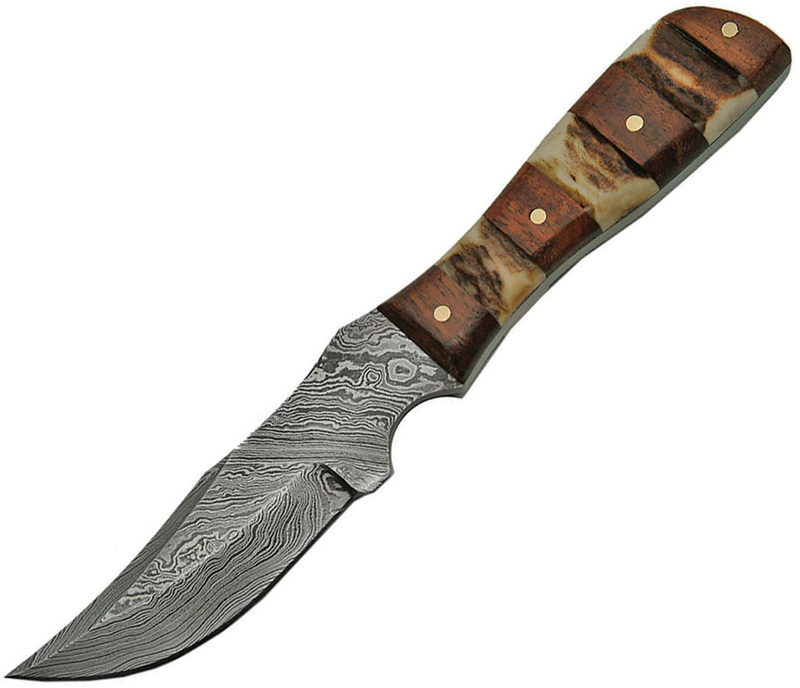 3.25" Damascus steel clip point blade. Full tang. Stag bone and wood handle. Brown leather belt sheath. Made in Pakistan. Log in and purchase this item to be earn 24 points. Learn about Rewards.